If you have a balance on insurance, an event, or need to make any other type of payment, you may either mail a check to our office, or pay online here. Please click the button below, change the amount from "$0" to the dollar amount of your balance, and follow the Paypal prompts to complete your transaction. After your payment is made, please email Gray Miller with the email address that was used to make the payment, your name, your team leader's name and your group name if applicable, and the purpose of the payment. 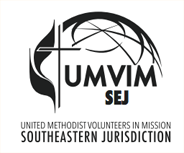 Please contact Gray Miller at 205-453-9480 or gray_miller@umvim.org if you have questions regarding your balance.